*Please note that this service is CLOSED temporary as booking is full this year. Thank you so much!! 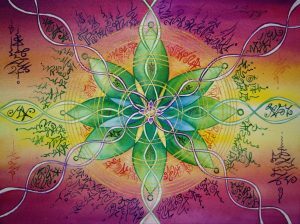 An exciting service of Custom Light Language Art – Soul Codes & Transmissions that connects one to their soul level. It is a set of codes that contains relevant information and transmission that assist you in aligning with your soul remembrance and current higher state of being. This comes together with a short recording of Light Language Transmission in MP3 format. This service takes three days or more. 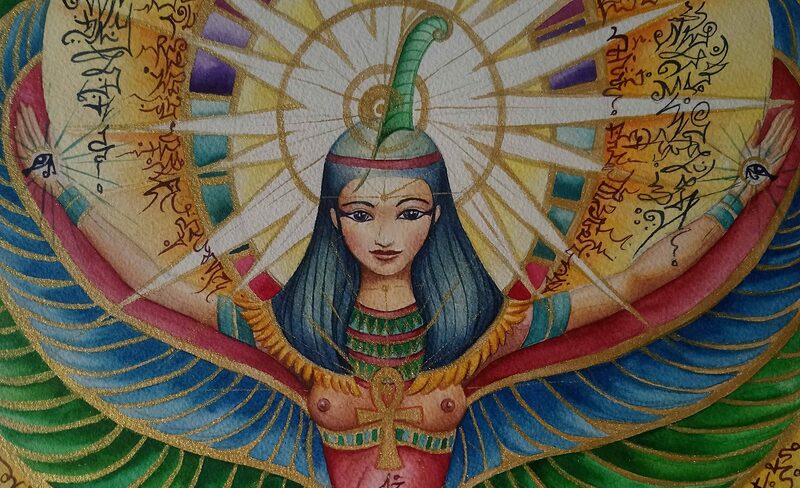 I will be connecting with your higher self, oversoul and guides bringing a set of codes which is relevant and assists you in your highest state of being. I then move into painting; working with watercolour and sometimes gold acrylic on 100% cotton paper in anchoring light lanaguge , colours, forms and energy. 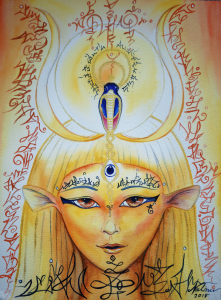 When the painting is done, I will then connect deeper into your set of Soul Codes, higher self and team once again to bring forth messages and Light Language transmission in strengthening the connection and anchoring the energy into your awareness. This will be sent to you in form of a short recording of 15 mins. 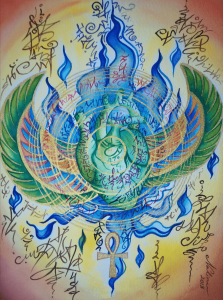 With this package, you will be able to meditate and tune into your custom art and Light Language transmission. The digital copy of your codes and a short recording of Light Language transmission and messages which assist you in connecting deeper with the given codes will be emailed to you. and the original piece painted on 100% cotton paper, 10 x 14 inch will be shipped to you from Thailand with standard mail and tracking number. Shipping usually takes up to two weeks, sometimes four, depending to custom process in your country. Tracking number will be emailed to you also. *Tips in taking care of your painting: store in a dry place, framing is highly recommend . Booking is CLOSED temporary 🙂 until further notice.